Regardless of whether you have a single potted plant or a 2-acre vegetable garden, if your plants could talk, they would be begging you for some good, old-fashioned cow poop. For generations, farmers have spread this animal waste product on their fields to help produce increased crop yields. 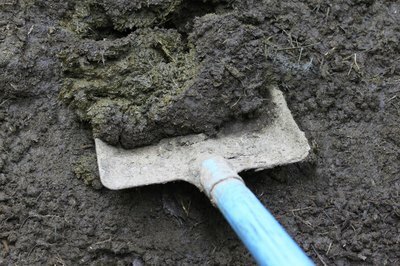 You, too, can reap the benefits of using cow manure for fertilizer as long as you exercise care when selecting and applying cow manure on your garden soil. When it comes to putting cow manure on your garden soil, being picky pays. 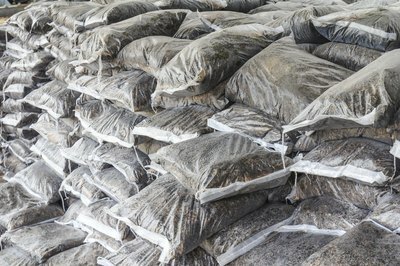 Look for dairy cow manure instead of steer manure, which often contains more unwanted salt and weed seeds. A dairy cow’s manure typically contains over 50 percent of the nutrients (including nitrogen, potassium and phosphorus) that the cow consumes in her daily feed ration, according to Oregon State University Cooperative Extension. A good mix of manure and urine ensures that your fertilizer contains enough potassium, since that is primarily excreted in a cow’s urine rather than her feces. However, if you obtain your cow manure from someone else, make sure it’s not watered down excessively with waste water, which can reduce the nutrient values in your manure. Denise Mullinax, Dairy Advisor at the University of California Cooperative Extension, suggests that you get a lab to test a manure sample in order to determine accurate nutrient values in the manure. Due to its low values of nitrogen, phosphorus and potassium, dairy cow manure is ideal as both a top dressing and in compost, depending upon your gardening goals. If you use cow manure to top dress your soil, spread it evenly across the soil at least six months before you till and plant; this practice allows the manure to age and minimizes your chances of burning young plant roots. In the event that you choose to compost the cow manure before adding it to your garden soil, make sure you add carbon materials (such as straw and dead leaves) and other sources of nitrogen in your compost (such as lawn clippings and vegetable peelings) to help aerate the compost pile and promote high compost temperatures. According to the co-author of “Chicken Soup for the Gardener’s Soul,” Marion Owen, this style of composting (called hot composting) helps destroy potentially dangerous pathogens that could be in manure. Once your compost has aged and decomposed, sprinkle it directly on your plant soil. Is Cow Manure a Good Lawn Fertilizer?